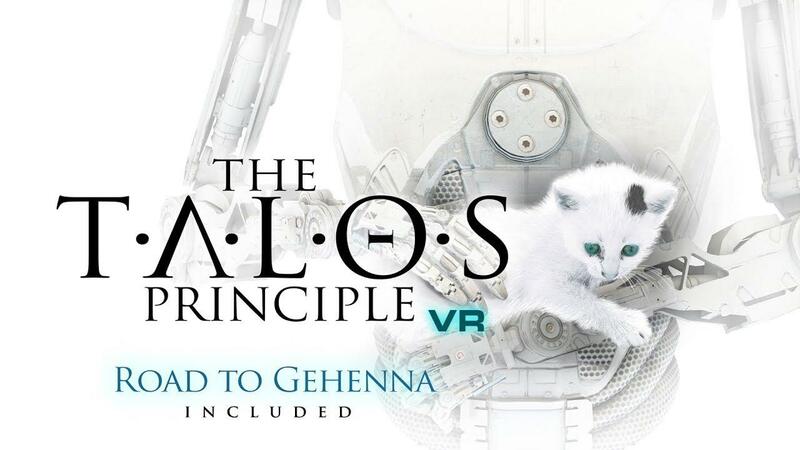 For those of you with a fancy HTC Vive, you might want to check out The Talos Principle VR [Steam] which launched with Linux support. The great news, is that it has a 25% discount if you own the "flat version". Let us know what it's like in the comments, if you decide to pick it up. I don't own a VR headset so I can't do any VR testing. Still, it's fantastic to see more interesting VR titles arrive with Linux support. The normal version is fantastic and Croteam have been really great with Linux support, so I hope it does well for them. I'm curious how it runs. Devolver/Croteam's doing great job on Linux. Honestly, even if I had a VR setup I'm not sure I'd be tempted, despite the discount. It's a great game, but there isn't much replay value after you've completed it once. Mind you, going on the performance of the “flat” version, I'd expect Croteam's engine to be excellent for VR though. With Vulkan, it absolutely flies on my relatively modest AMD Bulldozer/NVidia 750 rig (well over 100fps) while still managing to look beautiful. And the three-dimensional nature of some of the puzzles will probably work really well. I'd like to try it in VR (I can think of some levels in particular that would be fun just to walk around in); I just don't think I'd want to pay for it. Without a VR headset, I wouldn't be purchasing this. I do own the original though. I did buy it last night. I already had the original, and tried the vr flag a few months ago. If I remember correctly, since it was just an iniatial attemmpt back then on vr, it looked a bit odd. Or it could have been me as I was just starting VR then. Anyways, last night I had tried it out quick to do just 3 sigils. It worked well. Be aware, I'm on Windows for my VR stuff. It had a couple walking modes, both were comfortable. You interact with your hands that are the robot hands. Grabbing a Jammer, then when placing it, using your look direction for your target. Now since I had already played through the original game, it was kind of an extra cost (original was CDN$ 8.24 for me), but I will probably re-play it anyways. I had earlier also bought the Road to Gehnna, which I have YET to play, so I will do that all in VR. I’ve played through the first section of the game (havent had more than about an hour to test so far). It runs really well, and it just worked the first time I booted it up. There seems to be a bug where I cannot adjust the settings right now (game crashes if I do), but the defaults are fine. Croteam has done an excellent job, and I’m really looking forward to having more time to play. I couldn’t have been happier to pay for it, and would have done so even without the discount. Valve should be making noise about this one, it’s a room-scale 60+ hour game running natively in Linux on launch day! This is the dream here, hopefully more development teams follow their example. I tried, runs like Serious Sam First / Second Encounter VR, gonna probably stream it this weekend.